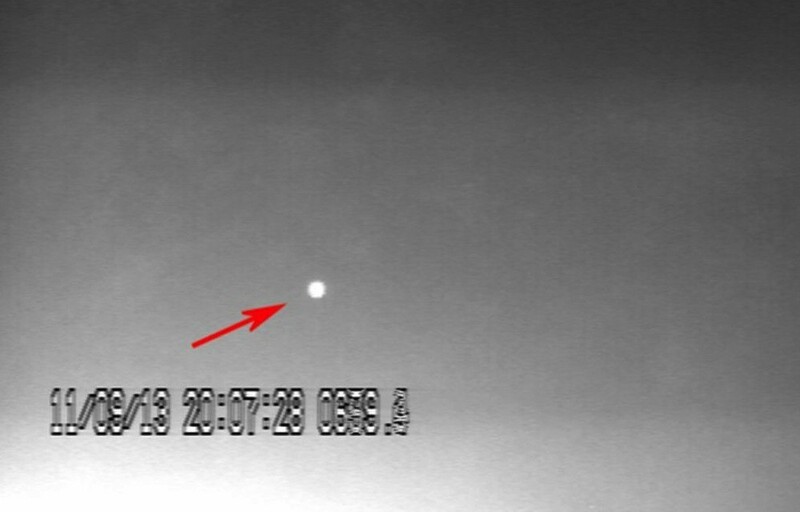 Back in September of 2013 a bright flash was observed on the surface of the Moon. It was soon found that this was due to a meteor impact on the lunar surface. Now an analysis of this impact has been published in the Monthly Notices of the Royal Astronomical Society. Captured frames of the impact flash. Credit: Madiedo, et al. By analyzing the brightness and duration of the impact flash, the authors were able to get a good measure of the energy produced in the collision, which was equivalent to about 16 tons of TNT. Determining the size of the meteor proved a bit more difficult. Without an atmosphere to determine the path of the meteor, the team has no clear way to determine whether it was due to a smaller meteor traveling at high speed, or a much larger one traveling at a slower speed. Based on the location of the impact, it was consistent with the September ε-Perseids shower. If that is the case, then it was likely about 46 kilograms in mass. If it was a sporadic meteor, it could have been much larger, about 450 kg. A graph of cumulative impact risk. Credit: Madiedo, et al. One of the things this impact shows, along with the Chelyabinsk meteor last February, is impacts with the Moon and Earth may be a bit more common than previously suspected. One way to look at the odds of an impact is through an estimation of the cumulative number of impacts at a given size. In a typical year, how many 10 cm meteors strike the earth, how many 1 meter in diameter, how many 10 meters wide, etc. Meteoroids generally have a power law size distribution. For example, with a power law of 1, for every 100 meter wide meteoroid there would be 10 with a diameter of 10 meters and 100 with a diameter of 1 meter. This is why the figure here uses a log scale. The blue dashed line gives the general estimated risk, while the red line is the risk fit to the Chelyabinsk and lunar impacts. Just to be clear, the risk of you and yours being injured by a meteor impact is extremely low, but this new data further supports the idea that keeping an eye out for possible Earth impacts is probably a good idea. 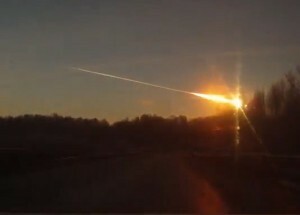 With rate of meteor impact on earth and moon especially the ones happened in Sudan last year and Russian. I am afraid meteor impact may hit one of world cities. 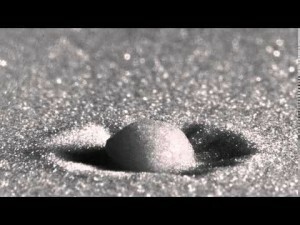 But my question is while is this small asteroid are landing on world deserts.